Either scroll down to the list manually to look through it, or click on one of the names below to go straight to the make of your choice. Send an Email to faithfullclassics@hotmail.com listing your complete order, together with your full name & address. Please make payment in pounds sterling (GBP) only, by PayPal to faithfullclassics@hotmail.com. Your order will be sent out upon confirmation from PayPal that full payment has been received. Please note that literature orders & poster orders are sent separately. Aerolite pistons (produced by 'The Light Production Company'), their design, manufacture & inspection. 20 sides laser printed, 100 gram paper inside, 160 gram cardstock covers, stapled booklet, size slightly smaller than A5. This covers 16 models with specifications, 15 models being illustrated. The 7R racing model is also covered. 28 sides, laser printed, 100 gram paper inside, 160 gram cardstock covers, plastic outer covers, comb binding, size A4 approx. 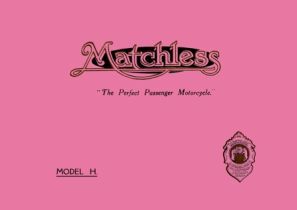 There are 5 models featured; as well as two sidecars. 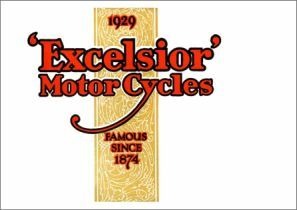 All bikes & sidecars are illustrated with comprehensive specifications Also there are listed extras & period prices. 8 sides laser printed, 100 gram paper inside, 160 gram cardstock covers, plastic outer covers, comb binding, size A4 approx. The catalogue shows a range of 9 gearboxes for motor cycles from lightweights to heavyweights with 8 illustrations. 21 laser printed sides, 100 gram paper inside, 160 gram cardstock covers,stapled booklet, size slightly smaller than A5. 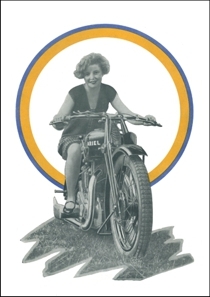 This catalogue lists the Ariel motorcycles & sidecars with their specifications, illustrations & factory extras for the 1937. 20 sides laser printed, 100 gram paper inside, 160 gram cardstock covers, plastic outer covers, comb binding, size A4 approx. 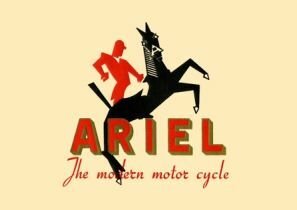 This catalogue lists all the Ariel models, specifications, illustrations & factory extras for 1937. 26 sides laser printed, 100 gram paper inside, 160 gram cardstock covers, plastic outer covers, comb binding, size A4 approx. 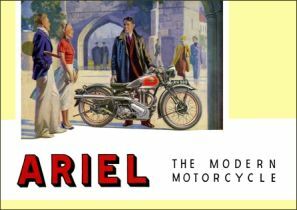 This fully illustrated catalogue shows the complete motor cycle range with their specifications & factory available extras, & also lists some of Ariel's previous year’s competition successes. 28 sides laser printed, 100 gram paper inside, 160 gram cardstock covers, plastic outer covers, comb binding, size A4 approx. This illustrated booklet explains the operation of the forks as well as dismantling & reassembly procedures. 9 laser printed sides, 100 gram paper is used inside, 160 gram cardstock covers, stapled booklet, size slightly smaller than A5. This illustrated brochure covers aspects of tyre care such as inflation problems, different types of tyre damage, overloading and other issues affecting the safe use of tyres. 26 laser printed sides, 100 gram paper inside, 160 gram cardstock covers, stapled booklet, size slightly smaller than A5. 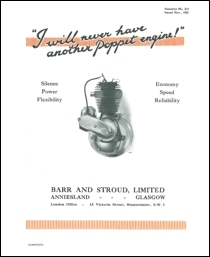 Testimonial leaflet for the Barr & Stroud single cylinder sleeve valve motorcycle engine. Folded leaflet, 4 laser printed sides (folded), 100 gram paper, size 256mm x 210mm (folded) & 256mm x 420mm (unfolded) approx. Instruction book covering the single cylinder WA7 500cc motorcycle engine. Instruction book covering the single cylinder 350cc & 500cc, & the twin cylinder 1000cc motorcycle engines. 25 laser printed sides, 100 gram paper is used inside, 160 gram cardstock covers, stapled booklet, size slightly smaller than A5. Folded leaflet, 4 sides laser printed (folded), 100 gram paper, size 230mm x 155mm (folded) & 230mm x 210mm (unfolded) approx. 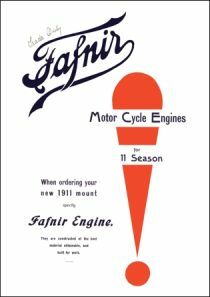 This brochure lists eight different engines, SV & OHV singles & a water cooled V twin, for motor cycles & cycle cars, together with brief abbreviated specifications of each. 6 sides laser printed, 100 gram paper inside, 160 gram cardstock covers, outer plastic covers, comb binding, size A4 approx. Featuring 12 different single cylinder side valve & overhead valve engines from their range, with illustrations, descriptions & specifications for each one. 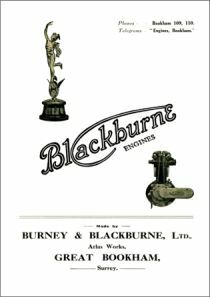 An interesting & quite rare catalogue, of use to anyone with an interest in Blackburne Engines. 16 sides laser printed, 100 gram paper inside, 160 gram cardstock covers, outer plastic covers, comb binding, size A4 approx. 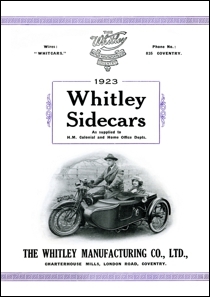 Featuring 5 different models of sidecars, plus the different chassis available, with illustrations & descriptions. Folded leaflet, 6 sides laser printed (folded), 100 gram paper, size 270mm x 140mm (folded) & 270mm x 420mm (unfolded) approx. 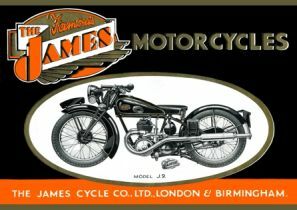 This leaflet contains spark plug details, illustrations, a plug recommendation chart & some motorcycle accessories with pictures. Folded leaflet, 4 sides laser printed (folded), 100 gram paper, approx. size slightly smaller than A5 (folded) & slightly smaller than A4 (unfolded). This leaflet show Bowdens adjustable combination lever, left or right hand. Instructions on the lever friction adjustment is also explained. Single sided leaflet laser printed, 100 gram paper, size A4 approx. 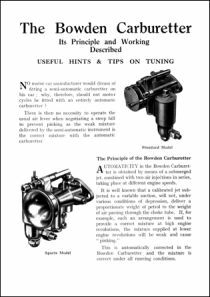 This leaflet describes the working of the Bowden Carburettor, & how to set up & tune the instrument, complete with illustrations. 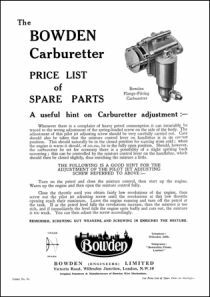 Very useful information on quite a rare carburettor. Folded leaflet, 4 laser printed sides (folded), 100 gram paper, size A4 (folded) & A3 (unfolded) approx. This leaflet features 2 plates of pictures showing all the carburettor parts laid out in their order of assembly. Also there are line drawings of the carburettor from different angles with a table of dimensions. All parts are listed with their contemporary prices. This illustrated book (published by The British Piston Ring Co. Ltd.) explains the technicalities of piston rings including sizing, clearances, defects, wear & oil consumption; as well as Brico's different types of rings. 17 laser printed sides, 100 gram paper inside, 160 gram cardstock covers, stapled booklet, size slightly smaller than A5. 14 laser printed sides, 100 gram paper insdie, 160 gram cardstock cover, stapled 'wallet type' booklet, size 210mm x 100mm (folded) & A4 (unfolded) approx. Well illustrated with machine specifications & details of the Corgi sidecar. Folded leaflet, 4 laser printed sides (folded), 100 gram paper, size 290mm x 160mm (unfolded) approx. This is quite a comprehensive handbook with a couple of illustrations & a fold out drawing of the machine inside the back cover. A very useful piece of literature for anyone owning or just interested in the Brockhouse Corgi. 23 laser printed sides, 100 gram paper inside, 160 gram cardstock covers, stapled booklet, size slightly smaller than A5. Featuring 13 different models of motorcycle with illustrations & specifications, 13 sidecar passenger bodies & 5 commercial sidecar bodies with specifications & some illustrations. Also featured are various extras that were available for these machines. There is also useful information given on gear ratios & sprocket sizes. 37 laser printed sides, 100 gram paper inside, 160 gram cardstock covers, outer plastic covers, comb binding, size A4 approx. Featuring the De Luxe, Sports & Family models of cars, plus the van version that was offered for this year only. Fully illustrated with specifications. 6 laser printed sides, 100 gram paper inside, 160 gram cardstock covers, plastic outer covers, comb binding, size A4 approx. Covering five different models with the V twin air cooled 1,021cc engines. & the four cylinder 1,075cc water cooled engines. Beautifully illustrated in full colour throughout. 9 laser printed sides, 100 gram paper inside, 160 gram cardstock covers, plastic outer covers, comb binding, size A4 approx. This features all their models for, what would have been the 1940 range, had not the war intervened. With illustrations & specifications. 12 Laser printed sides, 100 gram paper inside, 160 gram cardstock covers, plastic outer covers, comb binding, size A4 approx. Covering all models 1930 to 1936 inclusive. 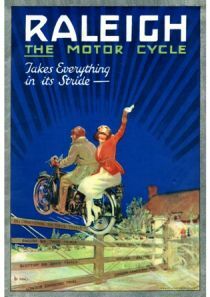 This is full of information, with some illustrations that will prove very useful to owners of these motor cycles. There are also some tables of data near the rear of the book. 57 laser printed sides, 100 gram paper inside, 160 gram cardstock covers, stapled booklet, size slightly smaller than A5. 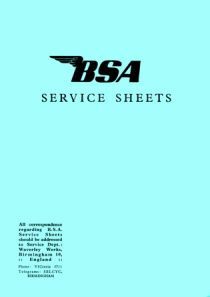 These illustrated service sheets cover the Winged Wheel - model W1, & according to BSA, are essentially a workshop manual. The services sheets covered are from Nos. W101 through to W109, & No. W1. 24 laser printed sides, 100 gram paper inside, 160 gram cardstock covers,outer plastic covers, comb binding, size A4 approx. This illustrated book provides a lot of general information about Burman gear boxes, their design & description. It also provides information about maintenance, & the causes & cures of gear box problems. A very useful addition to your workshop if you use a Burman box. 30 laser printed sides, 100 gram paper inside, 160 gram cardstock covers, stapled booklet, size slightly smaller than A5. This spares list is well illustrated with parts listing for the chassis, hubs, wheels & fittings etc., but no sidecar bodies are listed. 14 laser printed sides, 100 gram paper inside, 160 gram cardstock covers, comb binding, outer plastic covers, size A4 appox. This book covers the 493cc model in the areas of engine description & adjustments; general running instructions & cycle part adjustments; & also the gearbox & clutch. 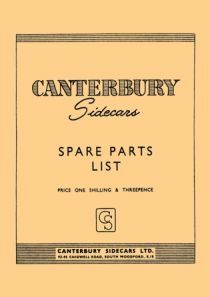 The instruction part of the book is not illustrated, however there are two plates illustrating spare parts along with comprehensive spares lists. In the back of the book are two, fold out line drawings, one of the engine unit & the other of the whole motorcycle from the timing side. 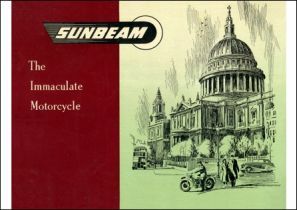 Featuring five models (inc. sidecar) with illustrations. 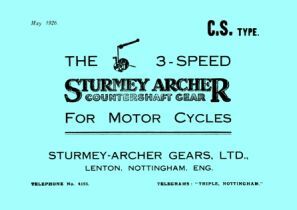 Spares list (inc. three speed Sturmey Archer hub parts), non-illustrated. 19 laser printed sides, 100 gram paper inside, 160 gram cardstock covers, outer plastic covers, comb binding, size A4 approx. Featuring 7 different sidecar bodies built by Mead & Deakin, including passenger bodies, commercial box carriers & their Taxi sidecar body. Also accessories are listed. With illustrations, specifications & details. 13 laser printed sides, 100 gram paper inside, 160 gram cardstock covers, outer plastic covers, comb binding, size A4 approx. 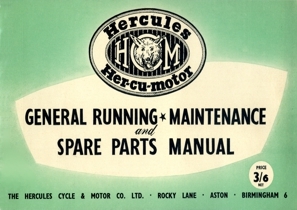 Covering GMC/3, GMC/6 & GMC/7 chassis, with the three chassis illustrated & part numbered; body accessories, wheel accessories & fittings (sidecar chassis to machine). No sidecar bodies are covered in this list. 13 laser printed sides, 100 gram paper insidee, 160 gram cardstock covers, comb binding, outer plastic covers, size A4 approx. 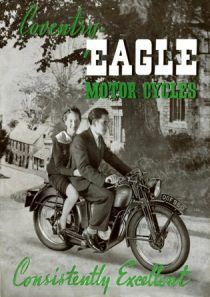 This book (published by C. C. Wakefield & Co. Ltd. - Castrol oils, in July 1947) contains details for British motor cycle lubrication systems; such as 4 strokes, 2 stroke mixes, oil & grease types, simple system descriptions, oil change routines & maintenance, pump types, etc., as well as some good illustrations. An extremely interesting piece of reference literature. 39 laser printed sides, 100 gram paper inside, 160 gram cardstock covers, stapled booklet, size slightly smaller than A5. 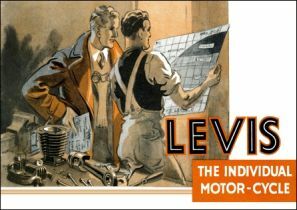 Listing twenty different, two stroke, side valve & overhead valve models; with three illustrations. 12 laser printed sides, 100 gram paper inside, 160 gram card covers, outer plastic covers, a comb binding, size A4 approx. 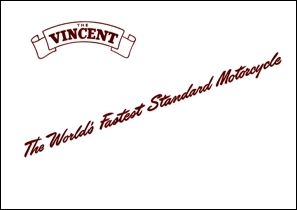 Featuring their 2 stroke Villiers engine models & combinations with illustrations & details. 11 laser printed sides, 100 gram paper inside, 160 gram cardstock covers, outer plastic covers, comb binding, size A4 approx. The catalogue shows the 2 stroke & 4 stroke motor cycle range with details & pictures. 16 laser printed, 100 gram paper inside, 160 gram cardstock covers, outer plastic covers, comb binding, size A4 approx. Covering the Royal "Grand Sport" OHV 499cc, the "Silent Six" SV 688cc & theDirt Track OHV 499cc flat twins. Also covered are their three wheeled cars. COmplete with illustrations & specifications. Folded leaflet, 8 sides laser printed (folded), 100 gram paper, size 282mm x 105mm (folded) & 282mm x 420mm (unfolded) approx. This illustrated brochure explains the design & production of piston rings by the 'Light Production Company' (manufacturers of Cygnet piston rings). It also talks about the different types of rings. 10 laser printed sides, 100 gram paper inside, 160 gram cardstock covers, stapled booklet, size slightly smaller than A5. 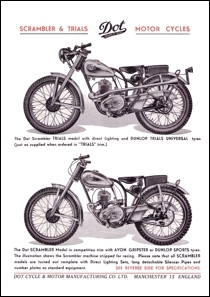 This sales leaflet covers the DOT off road 197cc models, the scrambler & the trials. Both models are illustrated with full specifications given for each. 2 laser printed sides, 100 gram paper, size A4. 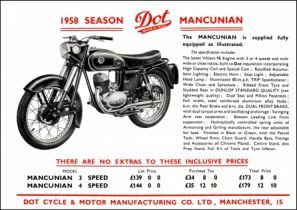 This sales leaflet covers the DOT Mancunian 197cc 3 & 4 speed models with illustrion & specification. 1 laser printed side, 100 gram paper, size A4. This catalogue features the model OC 596cc OHV twin, with detailed specifications & in depth descriptions of many of the motorcycles parts. 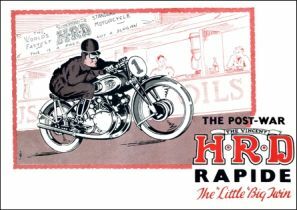 There are three illustrations showing the bike in solo form, with a touring sidecar & with a sports sidecar. 15 laser printed sides, 100 gram paper inside, 160 gram cardstock covers, outer plastic covers, comb binding, size A4 approx. Showing the complete range of models with their specifications. 25 laser printed sides, 100 gram paper inside, 160 gram cardstock covers, outer plastic covers, comb binding, size A4 approx. Showing the Douglas Two Stroke 150cc with illustration, details & specifications. Folded leaflet, 6 sides laser printed (folded), 100 gram paper, size 215mm x 136mm (folded) & 215mm x 408mm (unfolded) approx. 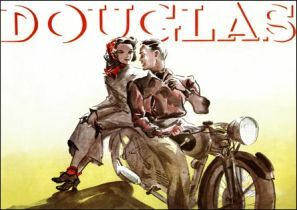 Showing the Douglas Model Y 250cc with illustration, details & specifications. Showing the Douglas OHV Models OW 500cc & the OW1 600cc with illustrations, details & specifications. 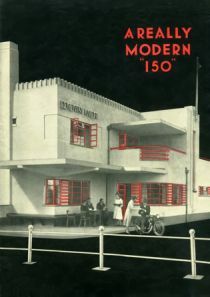 This illustrated catalogue shows models available for 1938, plus some of the machines' unique features. 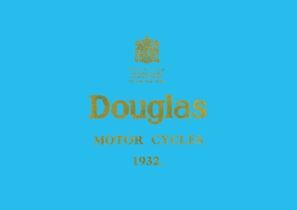 Douglas sales leaflet for the lightweight 150cc two stroke model. The bike is shown in a photograph & general specifications are given. Folded leaflet, opens up to 2 laser printed sides, 100 gram paper, size A4 (unfolded) approx. 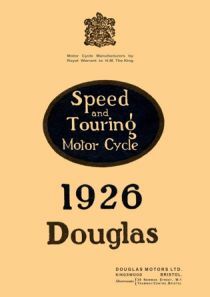 Douglas sales leaflet for the Draganfly 350cc model. The bike is shown in a photograph & general specifications are given. Folded leaflet, 4 laser printed sides (folded), 100 gram paper, size 210mm x 134mm (folded) & 420mm 134mm (unfolded) approx. A handy & useful piece of literature for people wanting to look after & rebuild Dowty Oleomatic air forks. There is a cutaway illustration of the forks showing all the parts. Produced by Phelon & Moore (Panther Motor Cycles) is of value to owners of other manufacturers' motorcycles (such as Scott & Velocette) who fitted these forks. 9 laser printed sides, 100 gram paper inside, 160 gram cardstock covers, comb bound, outer plastic covers, size A4 approx. 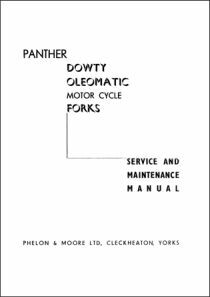 A set of service notes for Dowty Oleomatic air forks as fitted to Panther, Scott & Velocette motorcycles (late 1940's to early 1950's). There is one illustration. Folded leaflet, 4 laser printed sides (folded), 100 gram paper, size 210mm x 128mm (folded) & 210mm 256mm (unfolded) approx. This brochure (published by Dunlop in October 1933) covers a wide range tyre information, including pressure, load, types of damage & failure, mileage, fitting instructions & more, & is well illustrated. 38laser printed sides, 100 gram paper inside, 160 gram cardstock covers, stapled booklet, size slightly smaller than A5. Covering fourteen models with specifications & illustrations, as well as extras that were available. 21 laser printed sides, 100 gram paper inside, 160 gram cardstock covers, outer plastic covers, comb binding, size A4 approx. This covers eleven road going models from 98 cc to 500cc, both two & four stroke. Note that the Manxman models are not covered in this catalogue. Each model covered is illustrated & with manufacturers specifications. 16 laser printed sides, 100 gram paper inside, 160 gram cardstock covers, outer plastic covers, comb binding, size A4 approx. Covering running instructions, maintenance & disassembly; as well as a comprehensive spare parts section which is fully illustrated with exploded views. 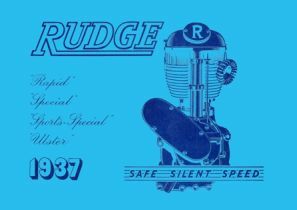 This manual is produced by Brockhouse for their Corgi lightweight folding motorcycles, but is applicable to any machines using this engine. 33 laser printed sides, 100 gram paper inside, 160 gram cardstock covers, stapled booklet, size slightly smaller than A5. Running instructions (owners handbook), with illustrations. 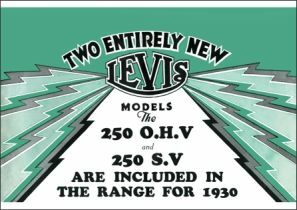 Three engines are cover with illustrations; the 2½ HP Light Weight Side Valve single, the 4½ HP Touring Model IOE single & the 5 – 6 HP Side Valve V Twin. 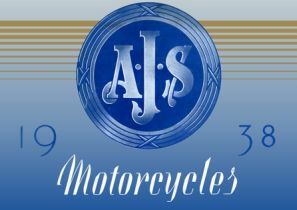 This is an alphabetical list of motor cycles manufactured between those two dates. 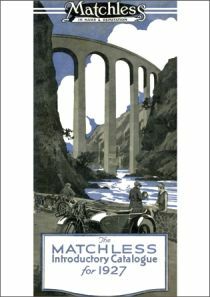 The book covers not only mainly British motor cycles, but some American & continental makes as well. It lists the various makes, their models & specifications. An extremely rich resource for information & research. 107 laser printed sides, 100 gram paper inside, 160 gram cardstock covers, outer plastic covers, comb binding, size A4 approx. 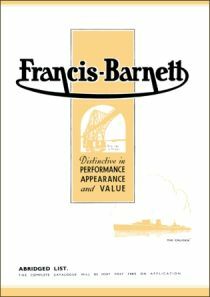 This catalogue lists, with illustrations, some of the Francis Barnett models using Villiers engines, with their specifications. 8 laser printed sides, 100 gram paper inside, 160 gram cardstock covers, outer plastic covers, comb binding, size A4 approx. Seven different models are covered, six of them with illustrations & detailed specifications; including the Red Stag four stoke model. 8 lazer printed sides, 100 gram paper inside, 160 gram cardstock covers, outer plastic covers, comb binding, size A4 approx. 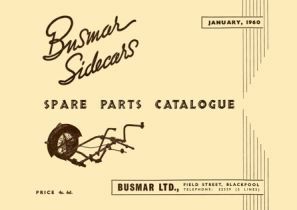 This catalogue features their range of sidecars & chassis available, all illustrated with specifications, dimensions, details & period prices. 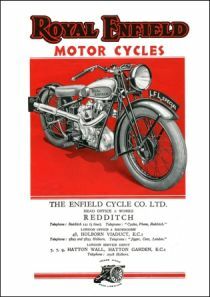 Seven different sidecar models are covered, with illustrations, & included with the brochure are a copy of the original price list, a second copy of the price list with hand written amendments (believed to be factory hand written amendments), as well as copies of 2 photographs of what is believed to be the Brooklands model of sidecar listed in the amended price list. 18 laser printed sides, 100 gram paper inside, 160 gram cardstock covers, outer plastic covers, comb binding, size A4 approx. 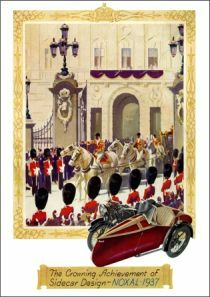 This book covers the Her-cu-motor moped (Britain's first moped) in detail with running & maintenance instructions & illustrations, as well as a spare parts section. 40 laser printed sides, 100 gram paper inside, 160 gram cardstock covers, outer plastic covers, comb binding, size A4 approx. 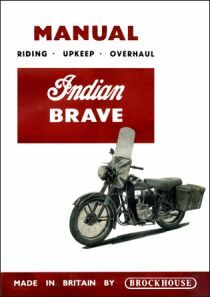 The Indian Brave was manufactured in England by Brockhouse Engineering during the early to mid 1950's. This book has a lot of information on stripping & rebuilding, & photographs, very useful for anyone with an Indian Brave. 22 laser printed sides, 100 gram paper inside, 160 gram cardstock covers, comb bound, outer plastic covers, size A4 approx. 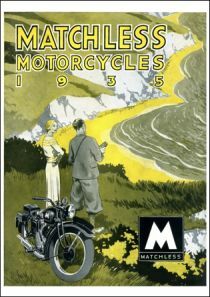 This brochure is well illustrated, featuring the complete range of motorcycles & sidecars available, together with their specifications. 28 laser printed sides, 100 gram paper inside, 160 gram cardstock covers, outer plastic covers, comb binding, size A4 approx. Covers ten models (3 x V twins, 3 x 4 stroke singles & 4 x 2 strokes), with illustrations & specifications for each. Folded leaflet, 8 laser printed sides (folded), 100 gram paper, size 136mm x 235mm (folded) & 272mm x 422mm (unfolded) approx. 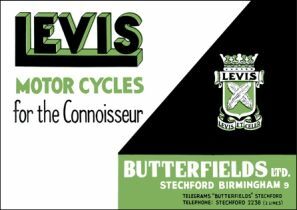 Covers six, two stroke Villiers engined models with illustrations (no V twins), including the early James Handyvan, open type with ‘sit on’ motorcycle front end & box behind (not the enclosed three wheel van type). 12 laser printed sides. 100 gram paper inside, 160 gram cardstock covers, outer plastic covers, comb binding, size A4 approx. 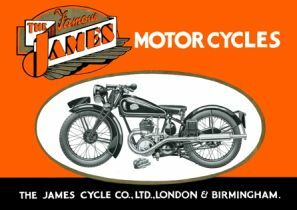 1933 range of motorcycles, inc. the V twin & the James Samson Handyvan. Well illustrated, with machine specifications. 12 laser printed sides, 100 gram paper inside. 160 gram cardstock covers, outer plastic covers, comb binding, size A4 approx. 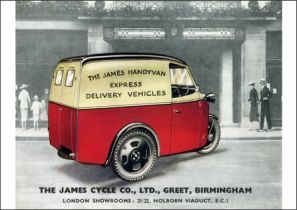 James Handyvan, including pick-ups, vans & open sided vans in different carrying capacities. Nicely illustrated in colour with specifications. Covering the Villiers engine two stroke range of 6 machines, with 5 illustrated & with specifications. 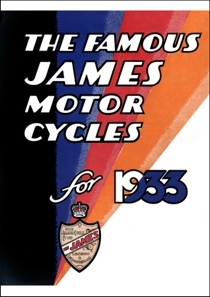 This catalogue covers the James two stroke range, listing 5 models of which 5 are illustrated, with details & specifications. 40 laser printed sides, 100 gram paper inside, 160 gram cardstock covers, stapled booklet, size slightly smaller than A5. This good quality book talks about JAP engines in general, their care & maintenance. It has illustrations, notes on racing engines, gear ratios, timing etc. plus other information. Useful if you own a JAP engine from this period, or are just enthusiastic about them. 22 laser printed sides, 100 gram paper inside, 160 gram cardstock covers, stapled booklet, size slightly smaller than A5. 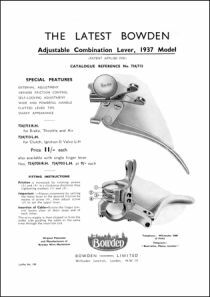 Made by the Bowden Wire Company, this brochure features both the ladies & gents machines, with illustrations & specifications. 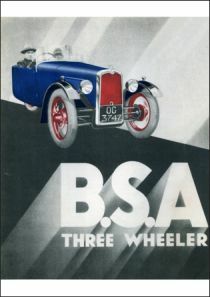 1920 sales catalogue covers three models with their specifications & two illustrations. 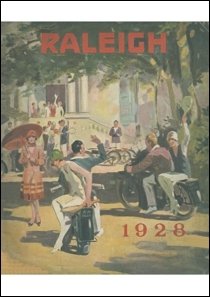 1929 sales catalogue covers four models with their details & illustrations. This catalogue covers six models & their details, with four of them illustrated. 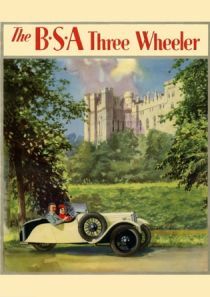 This catalogue features five models for 1934 all illustrated & listed with their specifications, details & period prices. 9 laser printed sides, 100 gram paper inside, 160 gram cardstock covers, outer plastic covers, comb binding, size A4 approx. This sales catalogue, shows the 8 model range with illustrations & specifications. 12 laser printed side, 100 gram paper inside, with 160 gram cardstock covers, outer plastic covers, comb binding, size A4 approx. 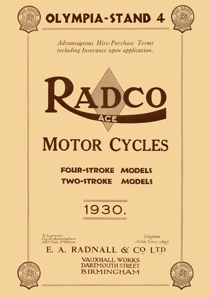 This catalogue shows the motor cycle range with illustrations & specifications. 9 laser printed sides, 100 gram paper inside, 160 gram card covers, outer plastic covers, comb binding, size A4 approx. 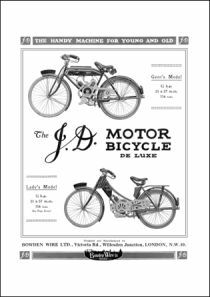 This catalogue features seven models of two & four stroke bikes, with six illustrations. 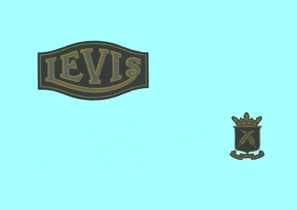 Details & specifications are given for the full 1939 range. 12 laser printed sides, 100 gram paper inside, 160 gram cardstock covers, outer plastic covers, comb binding, size A4 approx. 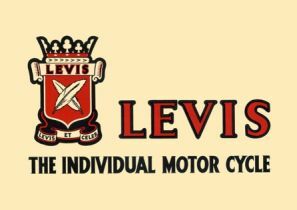 Driving Instructions and Useful Hints and Tips for Levis Two Strokes (April 1926). 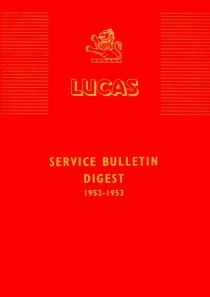 Contains information on engine lubrication, B & L pump, ignition timing & some disassembly/assembly instructions, plus more; with illustrations. 12 laser printed sides, 100 gram paper inside, 160 gram cardstock covers, stapled booklet, size slightly smaller than A5. 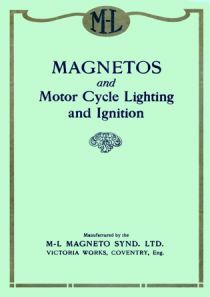 This book is full of valuable service notes & ainformation covering: - Accessories (horns, relays, trafficators & wipers); Batteries; Generators (D.C. & A.C.); Ignition (distributors, magnetos & suppression); Lamps; Regulators; Starting Motors; Switches; & Miscellaneous. The vehicles covered include motor cycles, cars, commercials & tractors. An extremely important & valuable information resource. 48 laser printed sides, 100 gram paper inside, 160 gram cardstock covers, outer plastic covers, comb binding, size A4 approx. 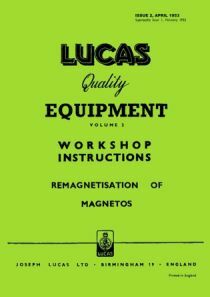 This is a general information, fitting & maintenance instruction book for Lucas SR Magnetos. Very useful to anyone running a motorcycle fitted with an SR magneto, or having one on another type of engine, or just requiring reference material. 13 laser printed sides, 100 gram paper inside, 160 gram cardstock covers, stapled booklet, size slightly smaller than A5. Folded leaflet, 4 laser printed sides (folded), 100 gram paper, size 220mm x 140mm (folded) & 295mm x 295mm (unfolded) approx. Covering the JAP engine Model H & the MAG engine Model H/2 from the immediate post WW1 period. 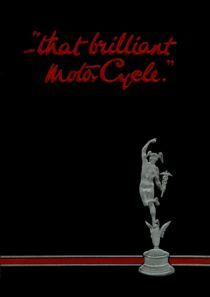 Illustrated with details & specifications of both models plus sidecars. 17 laser printed sides, 100 gram paper inside, 160 gram cardstock covers, outer plastic covers, comb binding, size A4 approx. The Catalogue lists 16 different models with ten illustrations; details & specifications are also given. This catalgue features 9 models of motorcycles & 4 models of sidecars, all illustrated with specifications, as well as listed extras & cutaway views. This illustrated brochure covers the Miller DH1 Dynamo, together with 73CV & 93CV Headlamps, including dismantling, assembly, testing, repairs & setup. 14 laser printed sides, 100 gram paper inside, 160 gram cardstock covers, stapled booklet, size slightly smaller than A5. Folded leaflet, 4 laser printed sides (folded), 100 gram paper, size A5 (folded) & A4 (unfolded) approx. This is a catalogue of M-L magnetos, & it covers the following models: - type N; types CM1 & CM2 (B.E.S. type M); types CMK1 & CMK2 (B.E.S. type K); types MC1 & MC2 (B.E.S. type M); types MCK1 & MCK2 (B.E.S. Type K); types CK1, CK2 & CKV (B.E.S. type K); type CKS; types CG4 & CG6 with distributors (B.E.S. type G) - base mounted; types CG4 & CG6 with distributors (B.E.S. type G) - flange mounted. It also covers types E & F Maglita combined lighting / ignition units, & the type H magneto generator unit. Although this material is undated, it appears to be from a period immediately following World War 1. This catalogue is well illustrated. 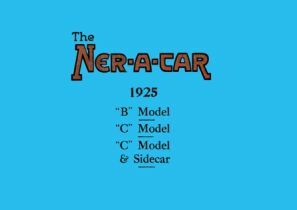 This catalogue covers the models B, C & C with sidecar, with illustrations & specifications. 14 laser printed sides, 100 gram paper inside, 160 gram cardstock covers, outer plastic covers, comb binding, size A4 approx. 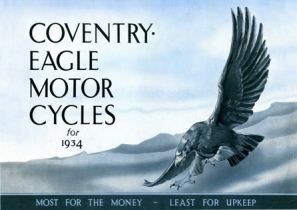 Well illustrated with full details on the operation of the machine, there is also a fold out lubrication & instruction sheet inside the front cover with a bird’s eye view drawing of the bike with all the main parts marked & the lubrication points numbered. 35 laser printed sides, 100 gram paper inside, 160 gram cardstock covers, stapled booklet, size slightly smaller than A5. This book is well illustrated, with parts listed with their contemporary prices. 55 laser printed sides, 100 gram paper inside, 160 gram cardstock covers, stapled booklet, size slightly smaller than A5. 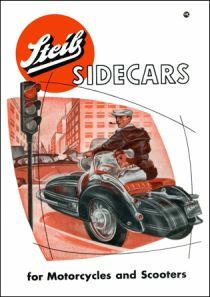 This catalogue covers10 models with illustrations & their specifications, plus sidecars. 20 printed sides, 100 gram paper inside, 160 gram cardstock covers, outer plastic covers, comb binding, size A4 approx. 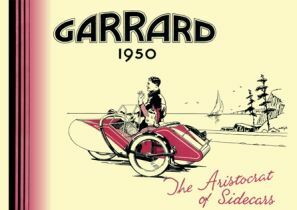 This catalogue lists the range of models, with illustrations & specifications, together with sidecars. 20 laser printed sides,100 gram paper inside, 160 gram cardstock covers, outer plastic covers, comb binding, size A4 approx. 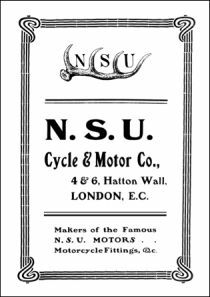 This catalogue covers one model - the 1 1/2 HP single cylinder model, & has sections on 'Description of Construction', 'How to use the Nicholas Motor Bicycle', 'Causes of stoppages and how to find them' & more. 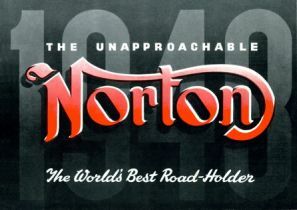 This catalogue not only lists all the Norton models, pictures & specifications for the 1932, but also lists the comprehensive achievements of Norton motor cycles in competitions throughout 1931. This brochure should appeal to anyone interested in Nortons from this period. 33 laser printed sides, 100 gram paper inside,160 gram cardstock cover, outer plastic covers, comb binding, size A4 approx. 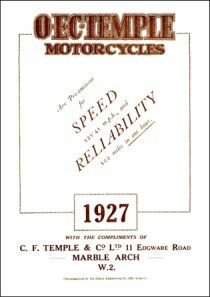 This catalogue with all models & specifications given, as well as details of the achievements of Norton motor cycles in competitions during 1932. 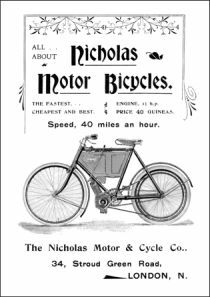 This brochure should have wide appeal to anyone interested in Nortons from this period. 33 laser printed sides, 100 gram paper inside, 160 gram cardstock covers, outer plastic covers, comb binding, size A4 approx. 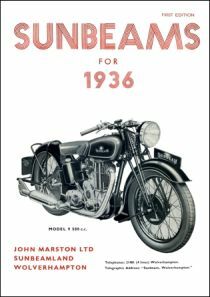 This catalogue featuring pictures & specifications of the full range of motor cycles for that year, as well as their sidecars. The brochure also lists 1947 competition successes with pictures in the centre pages. 12 laser printed sides, 100 gram paper inside,160 gram cardstock covers, outer plastic covers, comb binding, size A4 approx. 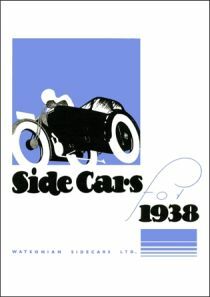 This catalogue showing their range of sidecars & chassis with their illustrations & specifications. 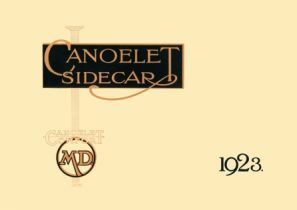 A wonderful guide to sidecars of the period. 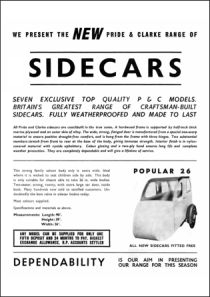 This catalogue covering the complete sidecar & chassis ranges with full specifications & illustrations. This rochure, features one model, the single cylinder 2 ¾ HP, single speed, belt drive model & details of their patent belt fastener. 6 laser printed sides,100 gram pages inside, 160 gram cardstock covers, outer plastic covers, comb binding, size A4 approx. ‘The NUT Book of Help’ originally published by Maude’s Motor Mart. This is a ‘Hints & Tips’ book, a riders handbook of the period giving much useful information. Un-illustrated. 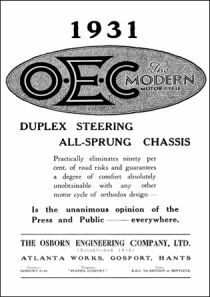 Covering the range, with specifications of the various twenty plus models, as well as giving details of OEC's Duplex steering & factory extras. 20 laser printed sides, 100 gram paper inside, 160 gram cardstock covers, outer plastic covers, comb binding, size A4 approx. Covering eight different models from the range, with specifications & pictures. 16 laser printed sides, 100 gram pape inside, 160 gram cardstock covers, outer plastic covers, comb binding, size A4 approx. This brochure covers three models, 500cc OHC, 1000cc V twin & 500cc OHV, with illustrations, specifications & contemporary prices. Also contains details of some Claude Temples record breaking. 6 laser printed sides, 100 gram paper inside, 160 gram cardstock covers, outer plastic covers, comb binding, size A4 approx. This brochure is published by C. F. Temple & Co. Ltd. Titled 'Globe - Trotting with Motor Cycles and Sidecars. Another British achievement by the O.E.C. Temple Expedition'; this brochure with illustrations, gives a synopsis of an expedition, which took place from late 1926 to late 1927. 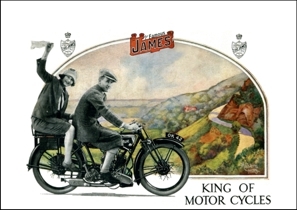 The full story of this adventure was serialised in 'The Motor Cycle' magazine of the period. 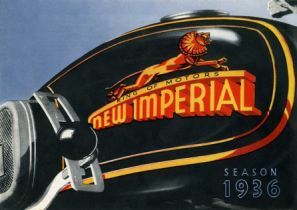 There are a number of period advertisements from suppliers & sponsors of the expedition, creating an interesting piece of motor cycling history. Models covered are the 250cc two stroke & the 350cc four stroke with the Bradshaw oil engine, with specifications & illustrations. 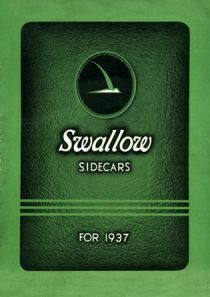 Also covered are three models of sidecar with illustrations. 7 laser printed sides, 100 gram paper inside, 160 gram cardstock covers, outer plastic covers, comb binding, size A4 approx. 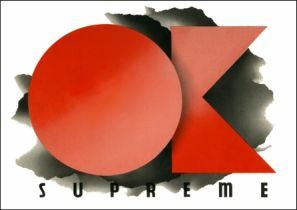 This catalogue shows all the models made by OK Supreme during the 1935 model year; O.H.V., S.V., O.H.C. 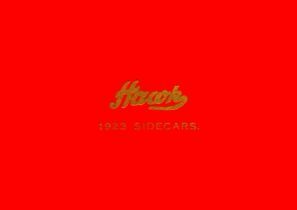 and sidecars. Plus other useful & interesting information. This catalogue is laser printed with 18 A4 size sides on 100 paper for the inside pages, 160 gram cardstock covers & comb binding with outer plastic covers. 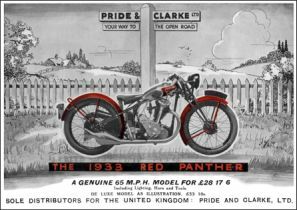 1933 Red Panther sales catalogue from Pride & Clarke Ltd, the sole concessionaires,covers the famous 250cc Red Panther with specifications & illustrations. Plus the other Panther models from the range are also listed. 7 laser printed sides,100 gram paper inside, 160 gram cardstock covers, outer plastic covers, comb binding, size A4 approx. 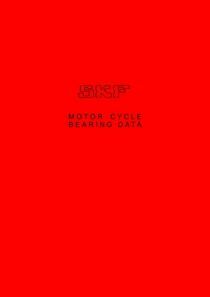 This book covers the 49cc Power Pak cycle motors, giving instructions on fitting, working & maintenance, as well as fault find & a data sheet with illustrations. Also included are two loose inserts; a 4 sided B.E.C. carburettor data sheet & a 2 sided lighting coil data sheet. 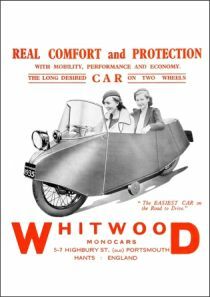 This leaflet covers the 1966 range of seven sidecars & accesories available from Pride & Clarke (the famous London motocycle dealers). Complete with ilustrations & specifications. Folded leaflet, 4 laser printed sides (folded), 100 gram paper, size 270mm x 210mm (folded) & 270mm x 420mm (unfolded) approx. This brochure covers six models with illustrations & specifications. 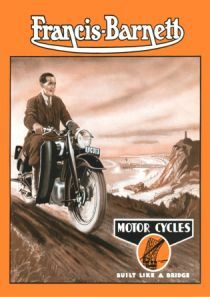 This catalogue features the 1924 range of motorcycles & sidecars complete with illustrations, specifications & details. There are also details on extras that were available. 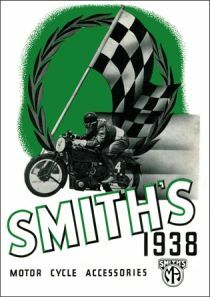 This catalogue features the 1928 range of motorcycles & sidecars, complete with illustrations, specifications & details. There are also details on extras that were available. 22 laser printed sides, 100 gram paper inside, 160 gram cardstock covers, outer plastic covers, comb binding, size A4 approx. 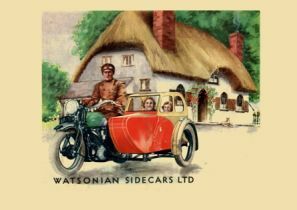 This brochure feature four models of saloon sidecars, with illustrations & specifications. 4 laser printed sides, 160 gram cardstock covers, outer plastic covers, comb binding, size A4 approx. 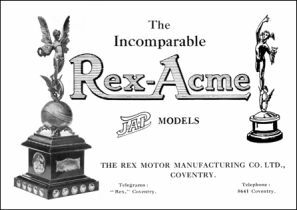 1929 Rex Acme sales brochure covers three models with Blackburne engines & Burman gearboxes, the B/9 300cc side valve, the K/9 350cc side valve & the Impy D/9 500 cc side valve, of which two models are illustrated. Specifications & contemporary prices are given for all models. 6 laser printed sides, , 100 gram paper inside, 160 gram cardstock covers, outer plastic covers, comb binding, size A4 approx. 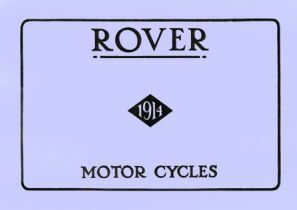 This catalogue covers five versions of Rover's 3½ HP model, including sidecar, all illustrated. There are many other illustrations of parts of the bikes, including close up illustrations to show some of the features. 41 laser printed sides, 100 gram paper inside, 160 gram cardstock covers, outer plastic covers, comb binding, size A4 approx. 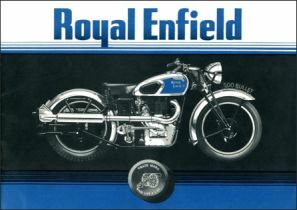 This catalogue featuring various Royal Enfield motor cycle models, solo & combination with illustrations; plus factory extras. 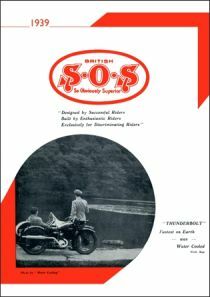 This catalogue covers twelve models of motorcycle & five models of sidecar, complete with illustrations, specifications & period prices. 20 laser printed sides, 100 gram paper inside, 160 gram cardstock covers, outer plastic covers,comb binding, size A4 approx. 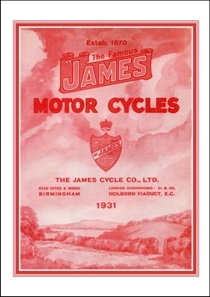 This catalogue shows the motor cycle range, illustrations & specifications. 24 laser printed, 100 gram paper inside, 160 gram cardstock covers, outer plastic covers, comb binding, size A4 approx. 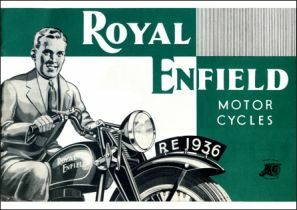 Hints & Tips for the Royal Enfield 148cc Cycar Models Z1, Z2 & Z3. This little book gives information on the running & riding of these machines as well as how to make various adjustments. The information is complimented by three drawings. 20 laser printed sides, 100 gram paper inside, 160 gram cardstock covers, stapled booklet, size slightly smaller than A5. This is basically Royal Enfield's owner’s handbook for the bike, which covers general running instructions, routine maintenance, ignition timing, valve clearances & more useful information. 32 laser printed sides, 100 gram paper inside, 160 gram cardstock covers, stapled booklet, size slightly smaller than A5. 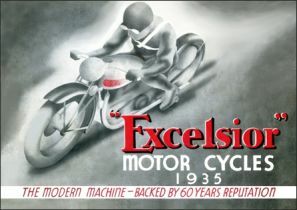 Covering four model of 250 & 500cc machines with specifications, illustrations & drawings, plus a section on special features. Saxonette cycle motor 'The Motorised Torpedo Hub'. Giving details of this 60cc motorised rear wheel attachment for bicycles, with illustrations. 4 laser printed sides, 100 gram paper, size A5 (folded) & A4 (unfolded) approx. ‘Instructions for Adjusting Schebler Carburettors – Model H’, with a sectioned illustration for parts listing. Folded leaflet, 4 laser printed sides (folded), 100 gram paper, size 110mm x195mm (folded) & 220mm x 195mm (unfolded) approx. This is well illustrated & contains a parts list (also illustrated), together with details & instructions for the various models, on dismantling/assembly, operation, adjustment & tuning. 29 laser printed sides, 100 gram paper inside, 160 gram cardstock covers, stapled booklet, size slightly smaller than A5. 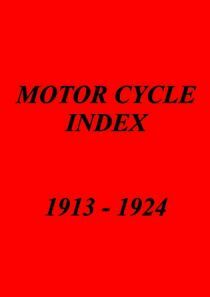 This book provides bearing details from 1945 onwards for mopeds, motor cycles, engines, scooters, sidecars & 3 wheelers. 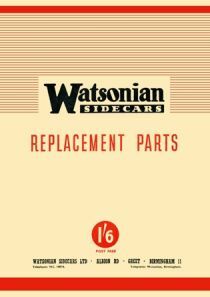 A very good reference source for restorers & mechanics. 41 laser printed asides, 100 gram paper inside, 160 gram cardstock covers, outer plastic covers, comb binding, size A4 approx. 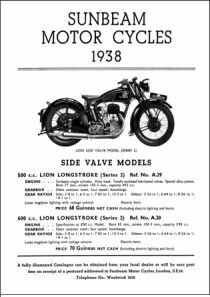 This fully illustrated catalogue shows the 1937 range accessories, including chronometric instruments, available to motor cycle manufacturers & owners. 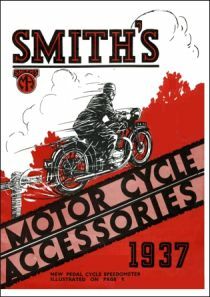 This illustrated catalogue shows the Smith's motor cycle accessories range available to motorcyclists. 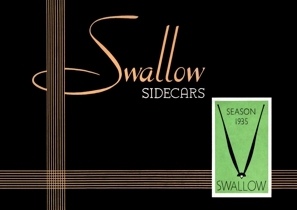 Six models of sidecar are covered, with illustrations & details. Accessories are also listed with illustrations, including details of Steib's hydraulic sidecar brake. 6 laser printed sides, 100 gram paper inside,160 gram cardstock covers, outer plastic covers, comb binding, size A4 approx. This is both an instruction book, & an illustrated parts list. Well illustrated, covering fitting, adjustments, gear ratios & more. This is both a manual & parts book for gear box & clutch, & well illustrated. Covering special features of the countershaft gear, adjustments, gear ratios, dismantling & assembly, & spare parts. 17 laser Printed sides, 100 gram paper inside, 160 gram cardstock covers, comb binding, outer plastic covers, size A4 approx. Five models (one four stroke & four two strokes) are covered in some detail with illustrations & specifications. 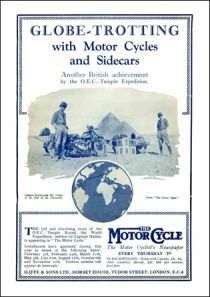 There is also a page on a journey by Mr. A. W. Hayter from Cape Town to Cairo, undertaken on a 500cc SV Sun & sidecar. 10 laser printed sides, 100 gram paper inside, 160 gram cardstock covers, outer plastic covers, comb binding, size A4 approx. Showing the full range for that year, together with sidecars that they also supplied. Well illustrated with specifications of the various machines. 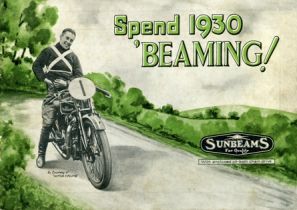 Comes with a double sided A4 insert (folded), on Sunbeam successes 1927. 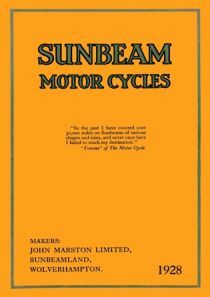 This catalogue shows the motor cycle range with their specifications, illustrations, factory available extras, & a range of sidecars. 24 laser printed sides, 100 gram paper inside, 160 gram cardstock covers, outer plastic covers, size A4 approx. 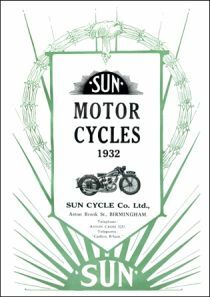 Sunbeams seven different models of motorcycle & two sidecars are covered with illustrations & details. Ten different models are covered with brief specifications, with three illustrations. Both the S7 & S8 500cc OHC in line shaft drive twins are covered with illustrations & specifications. Also covered are a range of sidecars. 12 laser printed sides, 100 gram paper inside, 160 gram cardstock covers, outer plastic covers, size A4 approx. 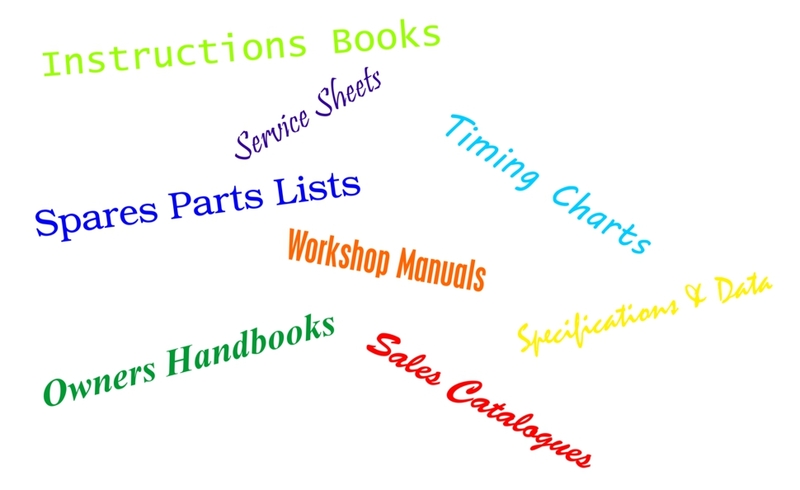 This service manual is illustrated, with details for servicing & maintenance. ‘This manual refers to the 4¾ h.p. 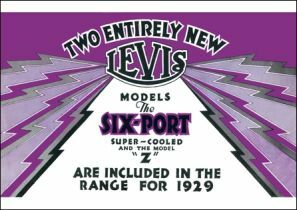 Model 7 Sunbeams, irrespective of date; & all other models up to & including 1928 only’. 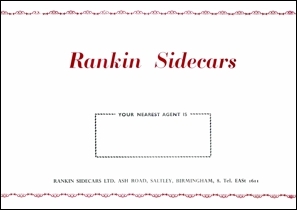 Showing the large range of sidecars on offer. 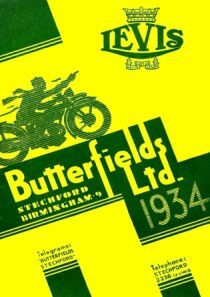 This is a period accessories catalogue & should be of great interest to classic motor cycle & cycle enthusiasts. 12 laser printed sides,100 gram paper inside, 160 gram cardstock covers, stapled booklet, size slightly smaller than A5. 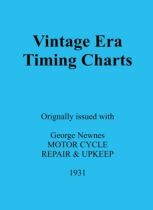 This book (taken from the charts issued with George Newnes 1931 publication 'Motorcycle Repair & Upkeep') covers the valve & igniton timing for AJS, Ariel, Blackburne, BSA, Douglas, JAP, Matchless, New Imperial, Norton, Phelon & Moore, Raleigh, Royal Enfield, Rudge & Sunbeam. 21 laser printed sides, 100 gram paper inside, 160 gram cardstock covers, stapled booklet, size slightly smaller than A5. 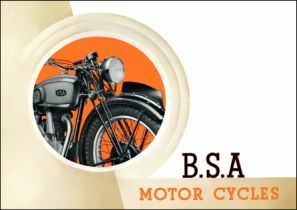 Showing the range of motorcycles & sidecars on offer, with specifications, illustrations & other details. Covering Triumph’s small four stroke model with an illustration & detailed specifications. A comprehensive ‘Hints & Tips’ book covering the Models H & SD from WW1 into the early 1920’s, with two illustrations. 42 laser printed sides, 100 gram paper inside, 160 gram cardstock covers, stapled booklet, size slightly smaller than A5. 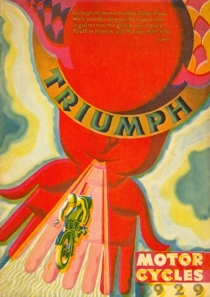 A well illustrated spare parts catalogue for Triumph's early 1930's lightweight two stroke. 36 laser printed sides, 100 gram paper inside, 160 gram cardstock covers, stapled booklet, size slightly smaller than A5. A comprehensive maintenance & workshop manual, extremely useful for any owner of one of these motorcycles, providing the information & illustrations needed for a service, overhaul or rebuild. This is a complete parts list for the Triumph model 3SW 350cc SV motor cycle, with one illustration of a cutaway view of the 3SW engine. Laser printed A5 size, with 20 sides in black & white (black & cream cover) on 100 gram paper inside, 160 gram cardstock cover & stapled into a booklet. 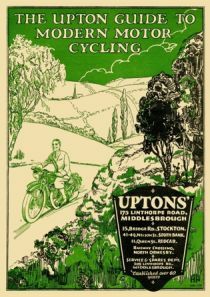 In 1931 E. Upton & Sons had shops in Middlesbrough, Stockton, South Bank, Redcar & North Ormesby, selling new & second motor cycles, spares & sidecars. 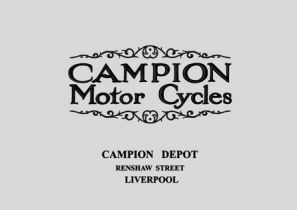 This catalogue lists different makes of motor cycles sold by Upton's, as well as sidecars, cars & some accessories; it also contains other period information. An interesting snapshot from the early depression years! 31 laser printed sides, 100 gram paper inside, 160 gram cardstock covers, outer plastic covers, comb binding, A4 size approx. 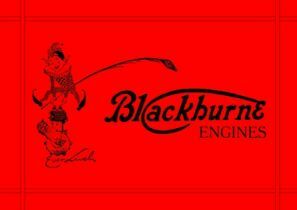 It features seven different models for 1923, powered by Blackburne & JAP engines. 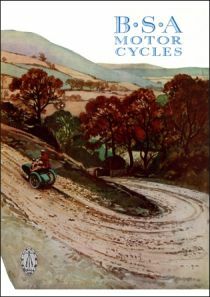 There are also four illustrations, including one motor cycle with sidecar. 8 laser printed sides, 100 paper inside, 160 gram cardstock covers, outer plastic covers, comb binding, size A4 approx. Operating Instructions & Spare Parts List, this is a good quality copy. This handbook is well illustrated & covers starting, running & maintenance procedures, as well as data, fault finding, & spare parts. 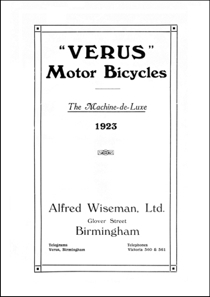 This is a comprehensive illustrated parts book, covering many different models of Villiers engines from the Mark I of 1913 up to the Mark XVIIB of 1934. A very valuable reference. 31 laser printed sides, 100 gram paper inside, 160 gram cardstock covers, stapled booklet, size slightly smaller than A5. 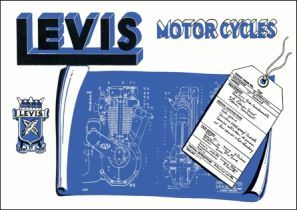 This book covers the replacement parts for the 50cc two stroke two speed engine gear unit with good illustrations (including a double page exploded drawing of the complete unit). There is also a useful table giving technical specifications of the engine gear unit. 16 laser printed sides, 100 gram paper inside, 160 gram cardstock covers, stapled booklet, size slightly smaller than A5. 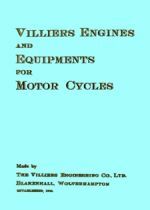 This covers Villiers range of engines & ancillaries for motorcycles as well as for lawnmowers & other items, with descriptions, drawings & illustrations. The period covered seems to be the 1920's, & the engines covered are the 1 1/2 H.P. Mark VI.C, the 2 1/2 H.P. Mark VI.A & the 3 1/2 H.P. Mark VI.B. 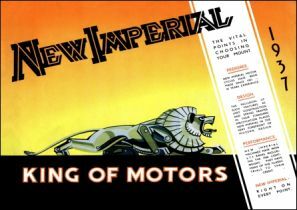 Originally produced by Villiers, which in turn was taken from an article originally published in "The Engineer". 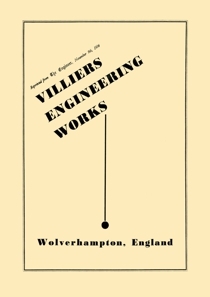 This illustrated brochure shows various aspects of the Villiers works & some of their period engines, & should appeal to anyone interested in Villiers, engineering in general or industrial history from the mid 1930's. 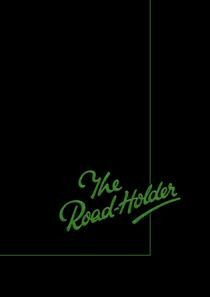 The full range of singles & the V twin are covered, with illustrations & specifications. Plus drawings & information about some of the features of the machines. Covers four different models, including the Rapide V twin. Each model is illustrated, & general specifications are given. Also information is given on general features & extras that were available. 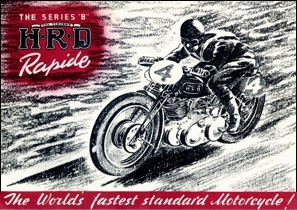 This brochure introduces the post war Rapide with illustrations & specifications. 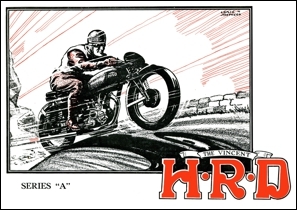 Late 1940’s Vincent HRD Series B Rapide sales catalogue. Illustrated with full details & specifications. This brochure covers the full range of Series C models complete with illustrations & specifications. 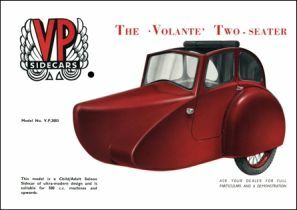 This brochure covers the Volante saloon sidecar, made from 1948 until the mid 1950's, with illustrations & specifications. 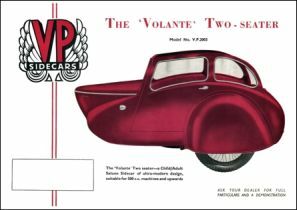 This brochure covers the Volante saloon & the Viper sports sidecars, made from 1948 until the mid 1950's, with illustrations & specifications. 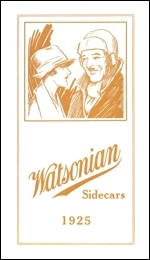 This leaflet shows Watsonian's 1925 range of 9 passenger carrying & 3 commercial sidecar bodies, together with 4 chassis. All illustrated. Folded leaflet, 4 laser printed sides (folded), 100 gram paper, size 148mm x 260mm (folded) & 297mm x 360mm (unfolded) approx. 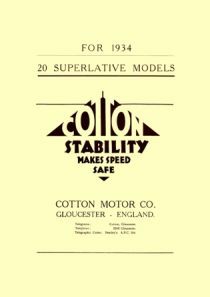 This catalogue shows their 1938 range with specifications & illustrations, including commercial bodies. 27 laser printed sides, 100 paper inside, 160 gram cardstock covers, outer plastic covers, comb binding, size A4 approx. 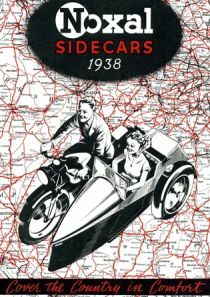 This catalogue shows the sidecar range with detailed specifications & illustrations of passenger & commercial bodies, as well as chassis, &.factory extras. 29 laser printed sides, 100 gram paper inside, 160 gram carstock covers, plastic outer covers, comb binding, size A4 approx. Well illustrated covering chassis types: - X21, V21, V23, J21, J23, G22, G30, VG21 & VG 26; plus motorcycle frame fittings & chassis attachments, hoods, windscreen & body fittings. 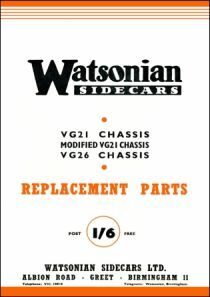 Extremely useful if you need information on a Watsonian sidecar chassis. Note sidecar bodies not covered. 23 laser printed sides, 100 gram paper inside, 160 gram cardstock covers, outer plastic covers, comb binding, size A4 approx. Covering VG21 chassis, modified VG21 chassis & VG26 chassis, with illustrations. Instructions for fitting the chassis to a motor cycle, plus notes on chassis maintenance. 11 laser printed sides, 100 gram paper inside, 160 gram cardstock covers, outer plastic covers, comb binding, siae A4 approx. 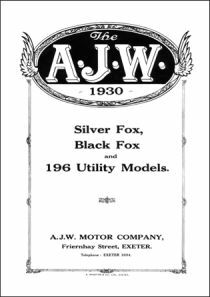 This catalogue shows details of Webb's girder forks' & wheel hubs & brakes for motor cycles. A very useful reference. This instruction book covers the Twin Diffuser Types GC, HC, KC & LC, as well as the Type F for two strokes. There are illustrations & section views, there is also a non-illustrated spares list. Five models are covered, with illustrations & specifications, as well as some motorcycle accessories. 8 laser printed sides,100 gram paper inside pages, 160 gram cardstock covers, outer plastic covers, comb binding, size A4 approx. 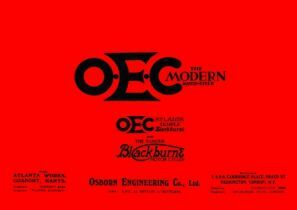 An unusual vehicle manufactured by OEC, this catalogue is well illustrated, with specifications. 6 laser printed sides, 100 gram paper inside, 160 gram cardstock covers, outer plastic covers, comb bound, size A4 approx. This covers two models, the Cub 98cc & the Vixen 148cc. With illustrations & detailed specifications of each. Folded leaflet, 4 laser printed sides, 100 gram paper, size A5 (folded) & A4 (unfolded) approx. This is quite a rare book for an even rarer motor cycle, & contains a fair amount of information with illustrations. 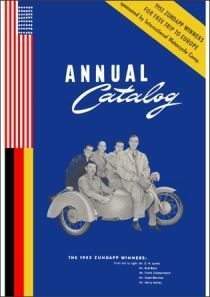 An American edition sales catalogue, featuring three different models (two singles & one twin). 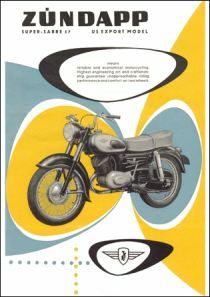 This leaflet covers the 1957 Zundapp 245cc Super Sabre model, with illustrations & details. Double sided leaflet laser printed, 100 gram paper, size A4 approx.